We've been posting a few teasers of components of this set but now we are excited to reveal the full suite of items. 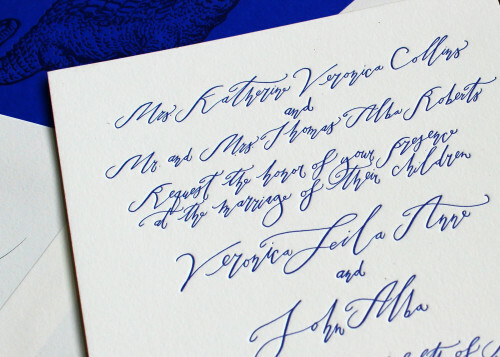 We love how this couple has allowed Betsy Dunlap's stunning calligraphy to really take front and center attention. The whole invitation just feels like a beautiful illustration and is extremely elegant. 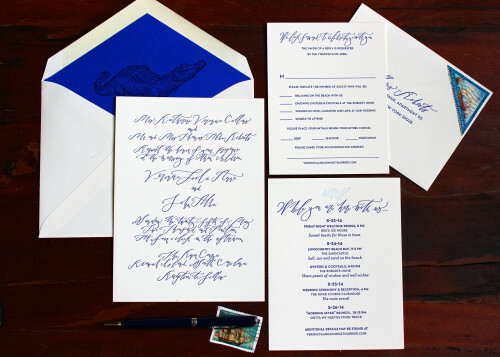 The rich indigo blue also helps to make this design pop. 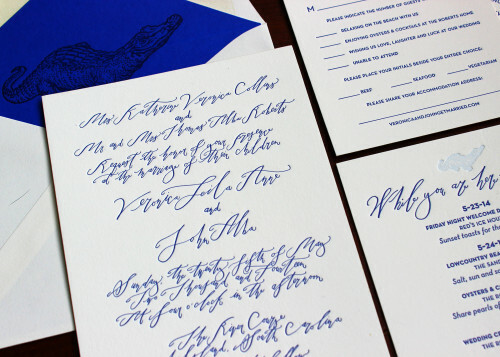 And we've already waxed lyrical about the bespoke envelope liner that features an imprint of a crocodile! We hope this couple has a wonderful wedding on Kiawah Island!